Bob Dylan is one of the most significant figures in popular culture. In this book, the authors provide a multi-faceted analysis of his political art. They address Dylan’s career as a whole, dealing with such themes as alienation, protest, non-conformity, the American Dream, modernity and postmodernism and pivotal moments of Dylan’s career such as the ‘Judas’ accusation at the 1966 Manchester Free Trade Hall concert and Dylan’s comments on the need to aid American farmers at Live Aid, 1985. Dylan’s songs are analysed for their political meaning and for the songs in contemporary American political and popular culture. As notable specialists in the fields of political theory, literary criticism and popular culture the authors examine Dylan’s work from a variety of perspectives—aesthetic theory, Kant, Adorno, Lyotard, Lorca and Collingwood. 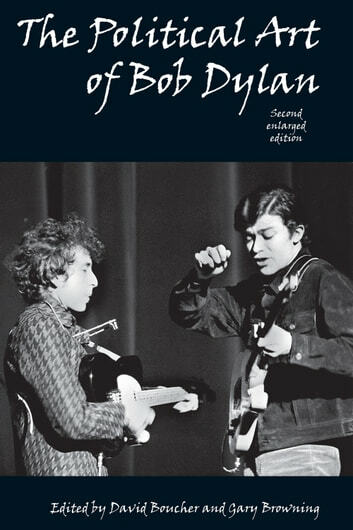 Collectively, they question how Dylan’s work relates to the theory and practice of politics.In this second revised and expanded edition, the chapters have been revised and rewritten, with a new introduction exploring the enigma of Bob Dylan throughout the whole of his career and with a completely new Bob Dylan Timeline integrating Dylan’s life, songs and actions into the historical events that shaped his views. Two new chapters have been added, one focusing on the late Dylan, Masked and Anonymous and Love and Theft and another on Dylan at Live Aid and his stance on Farm Aid.This book is a must for anyone seriously interested in the legendary Bob Dylan.